Headliners for the 2010 Concert Series Include Lady Gaga, Justin Bieber, Christina Aguilera, Carrie Underwood, Maxwell, Ke$ha, Enrique Iglesias, Keith Urban and Many More. The summer of 2010 marks "Today's" 15th year of bringing together the biggest, boldest names in music to rock the Plaza. This year's "Toyota Concert Series on Today" kicks off Friday, May 14 with the original "Englishman in New York," the legendary Sting. In his third "Today" summer concert, the Grammy Award-winner will play a full half hour of his greatest hits on behalf of his forthcoming world tour with the Royal Philharmonic Concert Orchestra. The "Toyota Concert Series on Today" continues its tradition of bringing "Today" viewers the hottest hit-making artists in the industry. In a special Tuesday performance on June 8, Christina Aguilera will play a full half-hour concert to launch the highly anticipated "Bionic," her first new album in four years. This year's concert series also features breakout artists Lady Gaga, Maxwell and Ke$ha in their first-ever morning television concerts. Fans and visitors are encouraged to join us on the plaza for the live performances. Viewing is on a first-come, first-served basis outside "Today's" Studio 1A, located at 49th Street and Rockefeller Plaza in New York City. Jim Bell is the executive producer of "Today" (Monday-Friday, 7-11 a.m.). Melissa Lonner is the senior producer responsible for the "Toyota Concert Series on Today." 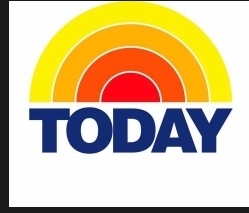 Toyota partners with NBC's "Today" show for the eighth consecutive year. Toyota established operations in the United States in 1957 and currently operates ten manufacturing plants. There are more than 1,500 Toyota, Lexus and Scion dealerships in the U.S., which sold more than 1.77 million vehicles in 2009. Toyota directly employs over 34,000 in the U.S., and its investment here is currently valued at more than billion, including sales and manufacturing operations, research and development, financial services and design.